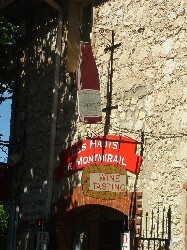 Daniel Brusset has made the estate world famous, principally for the two Gigondas cuvees, "Le Grand Montmirail" and the oaked "Les Hauts de Montmirail". Both are consistently amongst the finest wines to come out of the appellation each year with "Les Hauts" one of the most powerful wines from this appellation of over the top wines. With a fairly high percentage of new oak used in the upbringing of the wine, it is attractive young but can age effortlessly for a decade or more. Because "Les Hauts" is (as the name suggests) high in the Dentelles de Montmirail, the Brussets were able to make it even in the rain-soaked 2002 vintage. Perhaps a little lighter than usual, it was still an extremely good wine. The Brussets' wines are always in the top tier from both Gigondas and Cairanne. 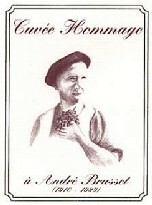 A personal favourite is the Cairanne cuvée "Les Chabriles", named after a lieu dit in the appellation. It is a concentrated Grenache-Syrah blend which generally drinks well young but has a good lifespan too. Otherwise from Cairanne, there is the "Les Travers" cuvée, also named after a lieu dit which is generally a very attractive and approachable wine. Laurent also makes a white version of "Les Travers" which includes a good dollop of the highly aromatic Viognier. Simply lovely.